Windows 10 brings a lot of new features and aims to make your daily work as easy and hassle-free as possible. Microsoft does grant you some further rights in order that you can set your privacy the way you would like it. However, these new settings often only apply to programs that were installed after the Update, and some old settings are simply reset to “Standard“ automatically. Windows 10 quite freely shares your personal data with Microsoft and certain apps. Some services protocol your entire keyboard entries, share your WLAN access data with your Facebook contacts or connect your computer without asking permission to a public – and potentially unprotected – network. While this means that you and your contacts do not have to grapple with complicated WLAN passwords, it also poses a significant security risk. Windows 10 lets you manage some of the available privacy settings in a new easier to use dashboard. Unfortunately, it does not give you full control over your privacy on your very own PC. Without a deep understanding of Windows 10, it is very difficult to protect your privacy. Protect your privacy in Windows 10 – Free! O&O Software’s freeware O&O ShutUp10 means you have full control over which comfort functions under Windows 10 you wish to use, and you decide when the passing on of your data goes too far. Using a very simple interface, you decide how Windows 10 should respect your privacy by making recommendations and giving tips for which unwanted functions should be deactivated. And should you change your mind later on, e.g. giving the personal assistant Cortana a try, all changes can be reverted with a single click. Available in English, German, French, Italian and Russian. 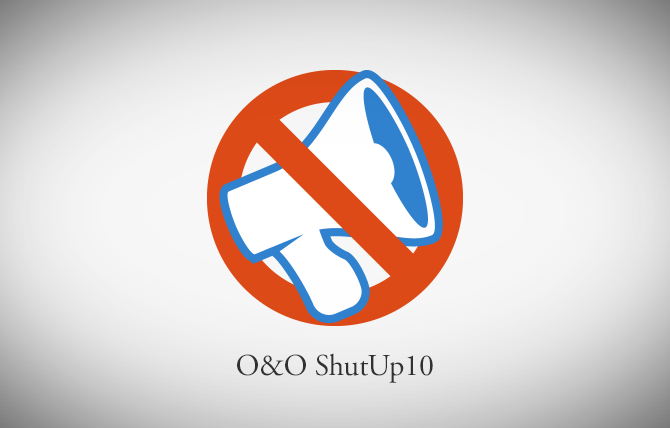 Download O&O ShutUp10 free from our Website. O&O ShutUp10 is entirely free (freeware) and does not have to be installed – it can be simply run directly and immediately on your PC (portable). And it will not install or download retrospectively unwanted or unnecessary software, like so many other programs do these days!